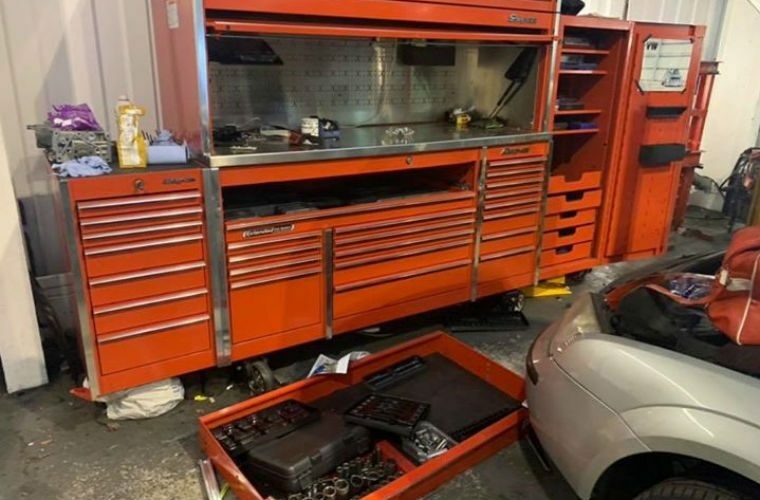 Thieves have broken into a Derby garage workshop and forced their way into tool cabinets, stealing entire tool collections from two mechanics. Steve Health and Tony Fowkes of CF Vehicle Wholesale in Spondon have been left devastated after their tools, which they had been building up for decades, were taken or destroyed in just one night. Thieves tore through a section of wall which was covering an old extractor fan hole to gain access into the workshop. Snap-on tool cabinets also suffered extensive damage. Tony Fowkes said: “To replace all the damaged parts of the tool boxes, I’ve been told it’s £50,000 plus VAT. “That’s without the tools in them and that’s all personal stuff. “It belonged to me, not the company. “This is the most expensive thing that I have got. With his tools now gone, Mr Fowkes fears that his livelihood is at threat. He said: “We are no use to the company now, but we can’t go anywhere else because they will employ someone who has tools over someone who doesn’t. “I’m a single parent and I have two daughters, 20 and 17, so this is really hard for me. Steve Heath said: “I have been doing this all my life. “I want to retire in 15 years but now I can’t do that because all the money I had was in that tool box. “That box was my nest egg. “My plan was to sell it and then I’d have a lump sum to live off. “I think in total the amount that’s been done in damage and theft is £90-£100,000. Owner of CF Vehicle Wholesale, Chris Frampton, said: “This is a family business that I’ve built up over 15 years. “Then when everything is going perfectly this comes and messes everything up. “This is my life, my pension, my money for my kids, everything. 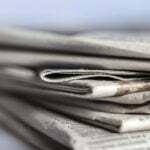 “There have been names thrown around as to who it was, but we don’t know for sure. “Four or five garages and vans have been broken into recently and people say that it is the same people who did those. Local businesses have been banding together to donate tools to the company in its time of need and Mr Frampton has thanked MOT Masters in Agard Street and Eurocar Care in Derby for their donations. The business says it wants to be up and running in earnest by March 1. Mr Fowkes has set up a GoFundMe page to try and raise money to buy the tools he needs for his job. Have you had a similar experience? Share your comments below. This topic contains 5 replies, has 2 voices, and was last updated by Pete Lancaster 1 month, 1 week ago. No insurance? I know that doesn’t make the loss any less traumatic and it doesn’t make me feel any better towards the scum that did it but at least insurance can get you back in business. Absolutely no excuse for not having insurance ! Have every sympathy for losing your tools and hope whoever stole them gets what they deserve. I know what you are going through 2 years since we had a break in all snap on tool boxes damaged all snap on tools taken could’nt even find a socket to remove a wheel.We were insured but the insurance company have riddled their way out of not paying out so far, all sorts of reasons,they are avoiding the policy, with out going into detail, they offered me 3 years premiums back.So far its cost me £2500 in solicitor fees he now wants another £1000.00 to continue i’m no further forward than when i started. So loss of earnings had to turn work down and trying to get another £1000.00 to pay solicitor.My claim 3 snap on tool boxes plus tools in the region of £70.000.As we are small business can’t go to insurance ombudsman, no help from anywhere.I wish you better luck than i’ve had. We’ve had two break-ins over the last 13 years We did have insurance coverage, but the first claim payment was not enough to cover the true loss, we underestimated the replacement cost value, ( A Snap-on knuckle strong bar cost about £18 in the eighties, but the same bar now is near the hundred marks!). The second break-in we lost a large amount of cash, but our insurance didn’t cover cash. So please don’t, underestimate the replacement value!